William Wasborough Foster, military officer, public servant, mountaineer (b at Bristol, Eng 1875; d at Vancouver 2 Dec 1954). Energetic, capable and good-humoured, Foster immigrated to Canada in 1894 to work for the CPR before becoming BC's deputy minister of public works in 1910. 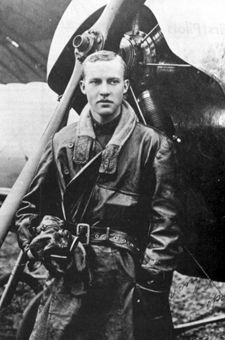 Wilfrid Reid (Wop) May, OBE, DFC, aviator, First World War flying ace (born 20 March 1896, in Carberry, Manitoba; died 21 June 1952 near Provo, UT). Wop May was an aviator who served as a fighter pilot in the First World War. May finished the war as a flying ace, credited with 13 victories, and was part of the dogfight in which the infamous Red Baron was gunned down. After the war, May became a renowned barnstormer (or stunt pilot) and bush pilot, flying small aircraft into remote areas in Northern Canada, often on daring missions. May flew in several historic flights, carrying medicine and aide to northern locations and assisting law enforcement in manhunts, including the hunt for Albert Johnson, the “Mad Trapper of Rat River” in 1932.